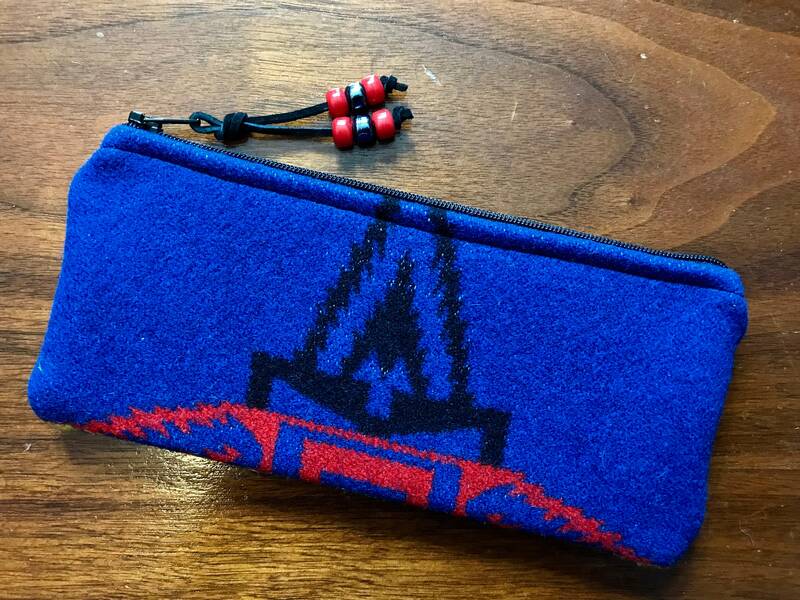 This pretty zippered pouch is crafted from coat weight Pendleton® Wool. It is the same on the front and back. This zippered pouch is 8 1/4 inches wide and 3 3/4 inches tall. It is unlined because the inside is pretty too. All inner seams are finished. The zipper has a leather zipper pull with glass crow beads for extra detail. This zippered pouch is just the right size for glasses, pens, tampons, computer/phone cords or whatever. Note: Accessories are for demonstration and are not included.